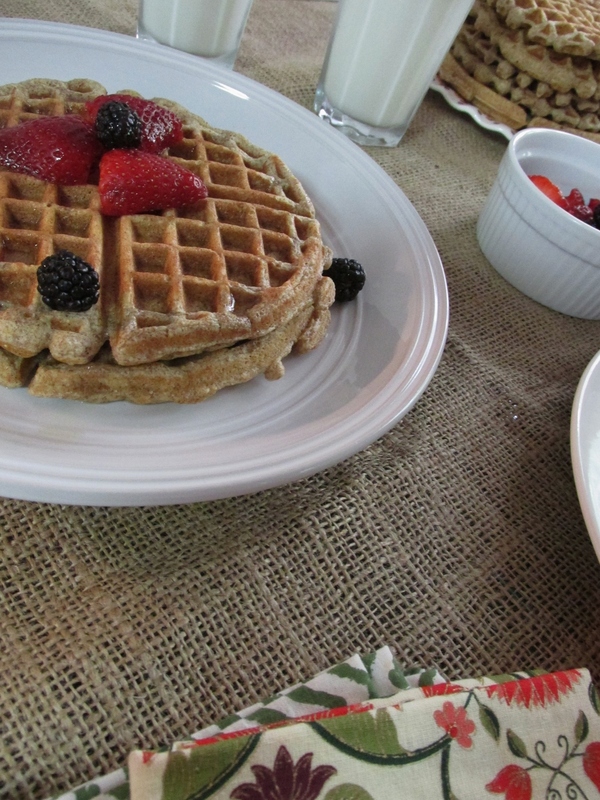 In our house Sunday mornings mean waffles. If I ask Canean what he wants for breakfast on the weekends, nine times out of ten he will say waffles. So, needless to say I am always trying out new recipes and I usually try and make them somewhat healthy so I don't feel like I'm undoing my week's hard work. 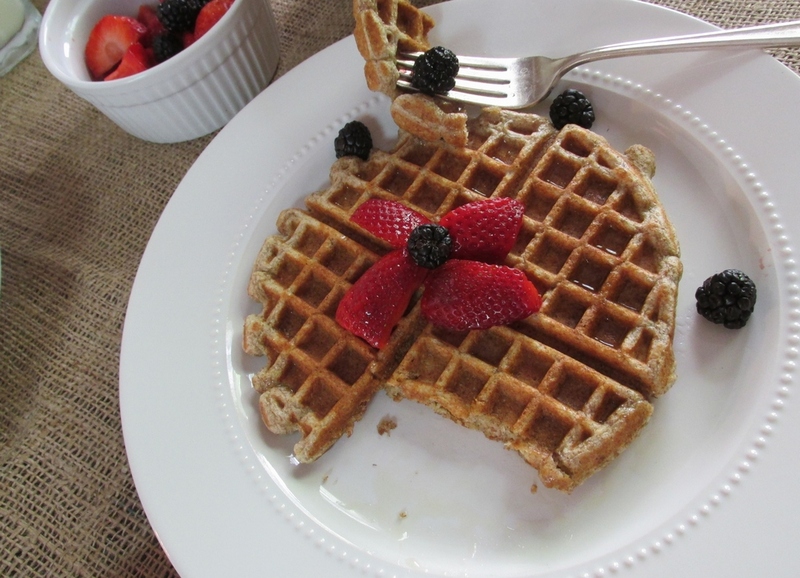 These ricotta whole wheat waffles are my new favorite! Is there anything better than a lazy weekend morning? You know the times where neither you or your partner have to be anywhere early and can spend the morning together drinking coffee and eating breakfast, chit chatting about this and that. It's the best. And waffles just make it better if you ask me. I combined Canean's waffle obsession with my ricotta cheese obsession (as you know another favorite breakfast of mine is Ricotta Breakfast Toast), and ended up with a pretty great waffle! The ricotta cheese adds a nice texture, flavor, and also adds an extra dose of protein to help you stay full! To top the waffles, I used fresh berries and drizzled maple syrup over top. Deelliisshhh guys! You must try them the next time you are in a waffly mood! -Beat your egg whites with a mixer until the form soft peaks. -Whisk your dry ingredients together in a mixing bowl. -In a separate bowl, whisk your ricotta, milk, butter, vanilla, and egg yolks. -Stir in your dry ingredients a little at a time until combined. -Fold in your egg whites gently until combined throughout. 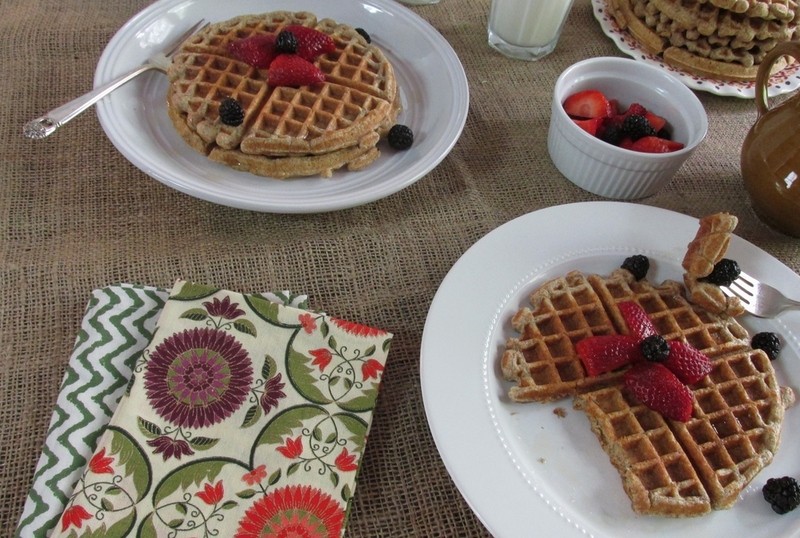 -Pour a ladle full of batter into the waffle iron and cook until done. -Top with berries and syrup and serve! Tip: While you make the rest of the waffles, place the cooked waffles into a oven on about 300 degrees to keep them warm until ready to serve. My advice for you this weekend is to sleep late, spend time with someone you love and eat these waffles while you do it!